We have partnered with the best hotel, condos and tour operators to provide you with the best deal when coming to the Kona Marathon on Hawaii’s Big Island. Additional partnerships coming soon. Immerse yourself in the Spirit of Aloha, during your visit to Hawaii, the Big Island. With their unmatched location and tropical setting, Hilton Waikoloa Village® makes travel to Hawaii convenient and easy. Located along the sun-splashed Kohala Coast, the Waikoloa Beach Resort offers a range of accommodation from a luxury hotel to family friendly condos. Come before or stay after the Kona Marathon and experience the wide variety of adventures and activities that will make your vacation on the Big Island of Hawaii most unforgettable. 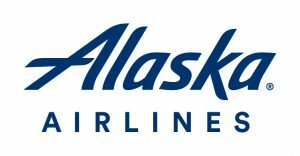 Alaska Airlines is pleased to provide discounted travel to the Kona Marathon on the Island of Hawai’i. Fly Alaska Airlines to Kona and save 5% on flights from any Alaska Airlines city (excluding Mexico, Costa Rica and Prudhoe bay, Alaska. A fun family life style resort destination shopping experience with something for everyone, visitors and residents alike, Queens’ MarketPlace within the Waikoloa Beach Resort presents an exciting collection of boutiques, galleries, shops and services, plus a delightfully diverse Ono Food Court, upscale restaurants and a full schedule of free Hawaiian cultural activities and entertainment. The temperature will be warm and humid. Winds are generally light in Kona at about 15 mph (24 kph) and we’ve rarely had rain during the Kona Marathon. Temperatures can climb into the upper 80’s during midday, add the humidity and it can make it feel even warmer. As always, on race day and the days before, make sure you hydrate properly.